On July 20, 2018, Chinese Consul General to San Francisco Luo Linquan held a farewell reception in the Consulate General. The reception was attended by Mayor of San Francisco London Breed, California State Senator Scott Wiener, California Assembly member Phil Ting, representatives from diplomatic missions in San Francisco, mayors of the Bay Area, local Chinese American communities, along with friends from various sectors, making a total of more than 800 guests. 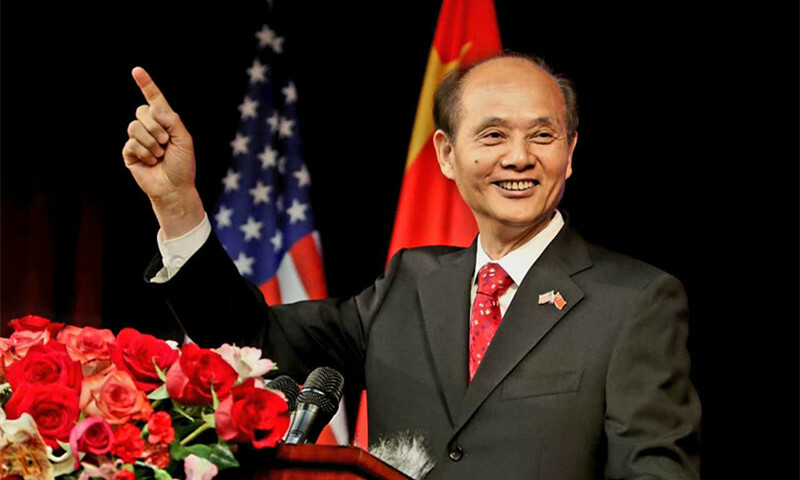 California Governor Jerry Brown sent a special video to the reception, and dispatched his representative to award a letter of appreciation to Consul General Luo in both Chinese and English, the first of such a kind in history. In his remarks, Consul General Luo pointed out that the relationship between the consular district and China has made great progress and yielded fruitful outcomes during his tenure which could be summarized in the following four categories. First, political exchanges have become increasingly intensive. Second, economic and trade reciprocity is deepening. Third, cultural exchanges are increasingly frequent. Fourth, the overseas Chinese communities have become increasingly active. Luo also expressed appreciation for friends from the US State and municipal governments as well as the business community, the Chinese American communities and the media, think tank, education, culture, science and technology sectors. 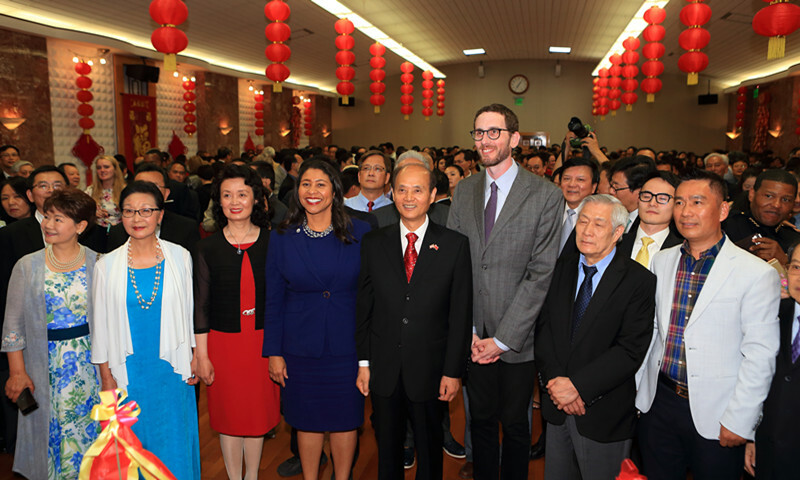 He also thanked Consul Generals from other countries in San Francisco and the Chinese institutions, international students and all Chinese compatriots in the consular district. And of course, his colleagues in the Chinese Consulate General were also on his list of appreciation. Governor Brown expressed his regret to part with Consul General Luo. He spoke highly of the work done by Consul General Luo in promoting the fruitful relationship between California and China, and emphasized that California is willing to continue the cooperation with China. 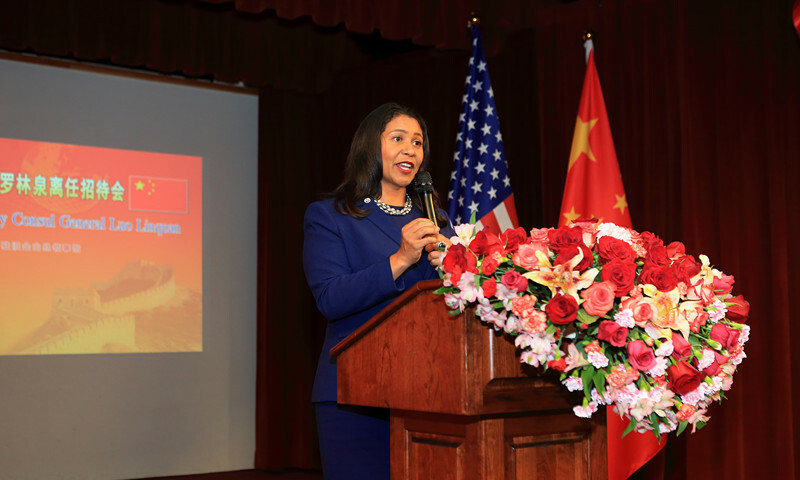 Mayor Breed said she was so appreciative for what Consul General Luo has done in developing the friendly relationship between San Francisco and China. She and her team are honored to foster this relationship with the next Consul General. The atmosphere of the reception was warm and impressive. 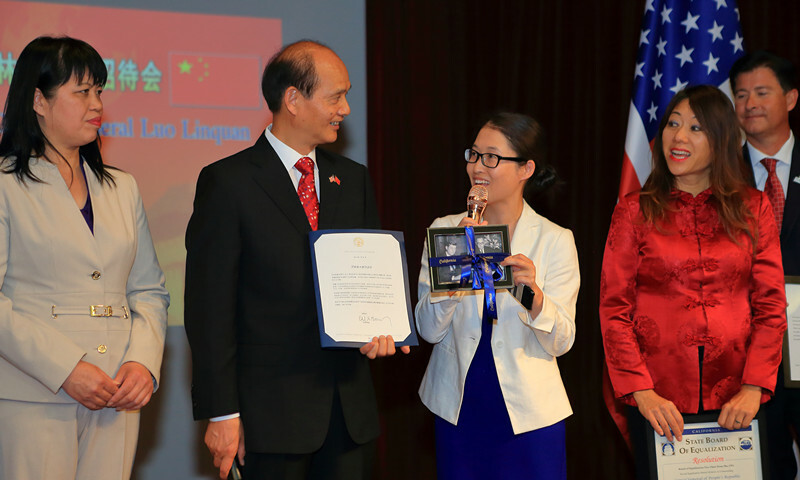 Videos introducing the work by Consul General Luo during his tenure was played. Guests sent best wishes to Consul General Luo and his wife and took photos with them.